Mixing decorating styles is easier than you might think. In truth, there are very few “pure” decorating styles. Most styles are a blend of several different eras and periods. Design styles are usually birthed when designers (or even homemakers) take the best of certain periods or fashions and incorporate these elements into homes. Maybe your spouse is traditional yet you love shabby chic. Or maybe you would like to figure out a way to use your grandmother’s antique armoire in your über contemporary living room. Your goal is to create a space that the eyes and the mind view as a whole. 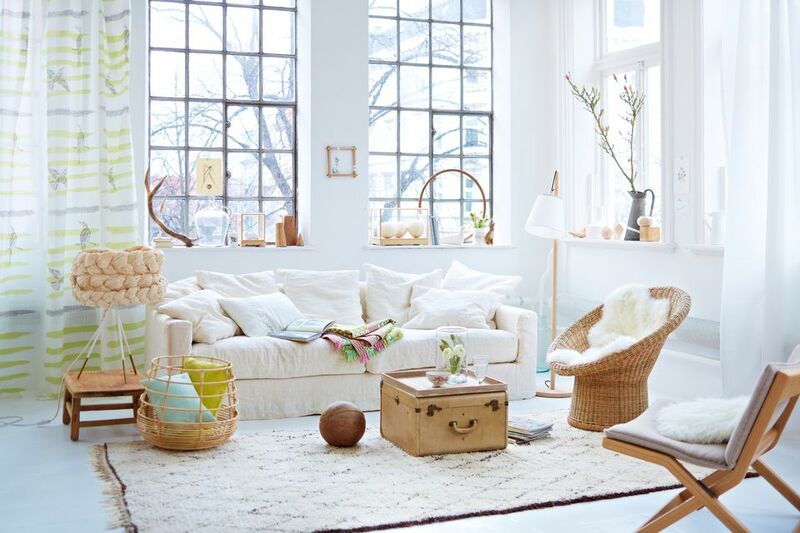 Try these tips to mix styles effortlessly and create a room that appears cohesive and unified. Too many colors can detract and make each piece in your room feel like it stands alone. A good mantra to remember about color is to “spread the wealth,” meaning that you should repeat the same colors throughout the space to bring items (and the room) together. By being selective with a few colors you like, the rooms throughout the house will feel unified, no matter the variation in decoration. A shape or motif used throughout the space can bring a room together and keep decor from appearing scattered. This helps to unify the varying styles of decor. Another way to bring consistency to the style is to pick up on the lines of a sofa or favorite chair and repeat that curve or line throughout the space. If you have an assorted decor collection or a piece of furniture that just doesn’t look like the rest of your stuff, don’t try to hide it. Draw attention to it by using it as the focal point of your space and building the rest of the room around it. This is a great way to turn something that normally wouldn’t fit or match into the “wow” factor of the entire space. It’s amazing how two totally contrasting periods of furniture will go well together when they are the same shade or made from the same wood. Keep your wood tones consistent to tie pieces together. If you have mismatched wood pieces that you love and work well in the space, consider a wood stain to bring them closer to the same shade. The theme doesn't need to be over the top, like a room filled with duck decor or creating a china doll emporium. Choosing a certain theme or look such as coastal or mountain lodge can really bring a room's elements together. This works especially well in a kid's room, where as long as the decor fits with the theme, any style will do. Remember that decorating and design rules are never written in stone. What usually works in most spaces often becomes a decorating “rule” (or at least a strong suggestion), but that suggestion may not work in your space. Feel free to bend or even break the rules when creating and decorating your room. After all, your home belongs to you! What is currently considered the traditional style really grew out the early country styles, most of which are today considered traditional. New decorating styles have also developed due to a mixing of styles. For example, the transitional style is simply a balanced blend of contemporary and traditionally styled furnishings and decor. Though the founders of the eclectic style liked to think of themselves as followers of none, today’s eclectic style can also be considered a mesh or blend of many different styles to create a look unique to a particular home dweller.